Ultra low-cost ARM Cortex JTAG/SWD debugger based on the CMSIS-DAP standard. 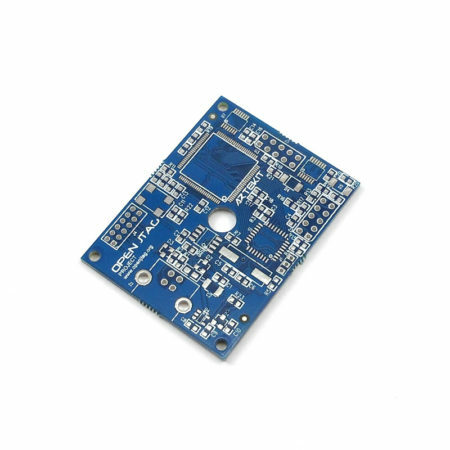 The AK-CMSIS-DAP board is a JTAG/SWD probe based on the CMSIS-DAP (also known as DAPLink) protocol standard. 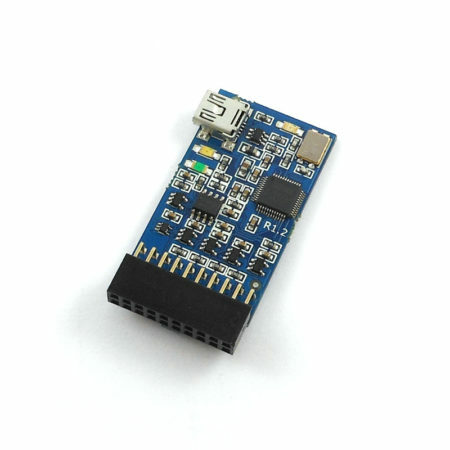 It can be used to debug and download code to any ARM Cortex microcontroller. 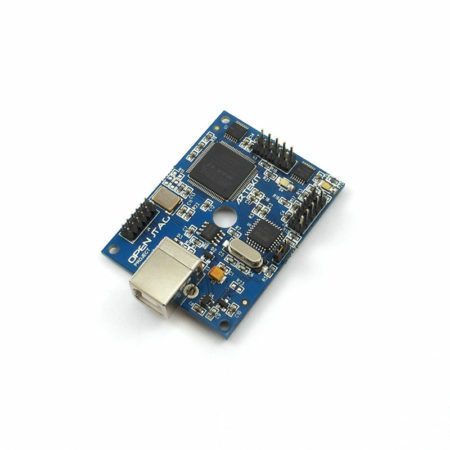 The CMSIS-DAP standard is supported by many of the most known development and debugging tools, including KEIL uVision, IAR Embedded Workbench and OpenOCD. 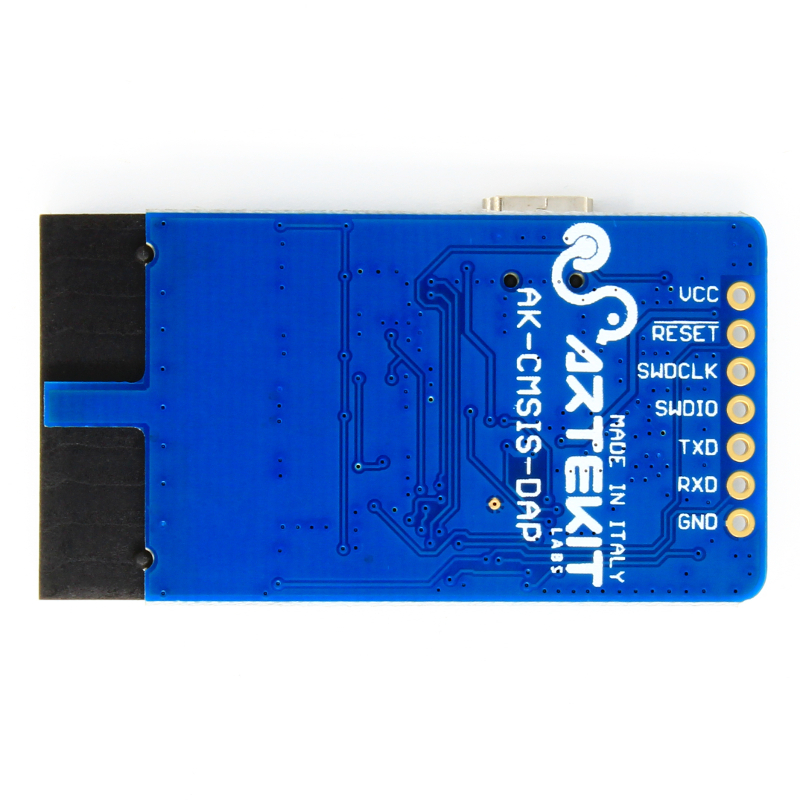 The AK-CMSIS-DAP JTAG/SWD board is the Artekit implementation of the CMSIS-DAP standard, running on quartzless SiLabs Happy Gecko EFM32 Cortex M0+ (the EFM32HG308F64G-B-QFN24), with 64KB Flash and 8KB RAM running at 25 MHz, completely open source and open hardware. 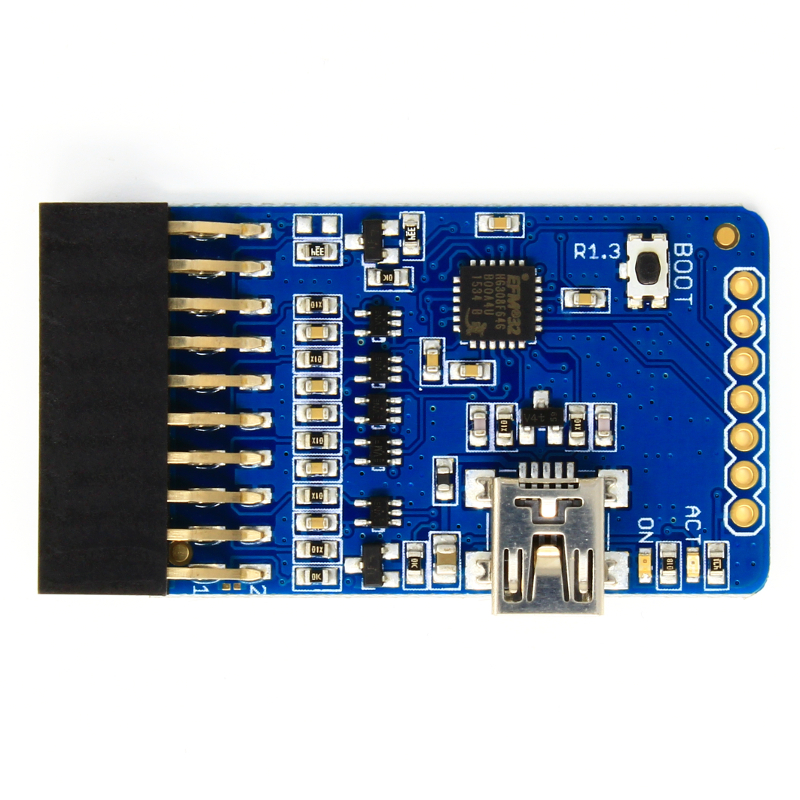 The board comes with a standard 20-pin JTAG connector and can be used with microcontrollers featuring the full JTAG interface or two-wires SWD (Serial Wire Debug) interface. 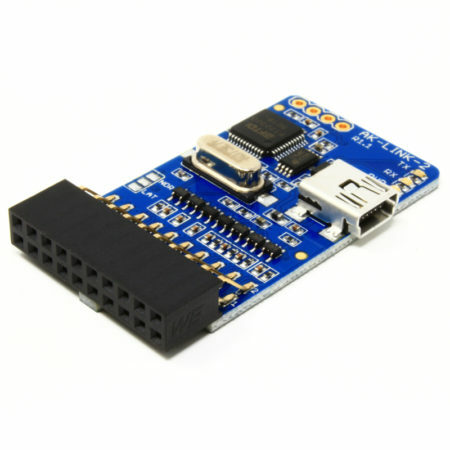 The board only requires an USB-mini cable to connect it to the host. 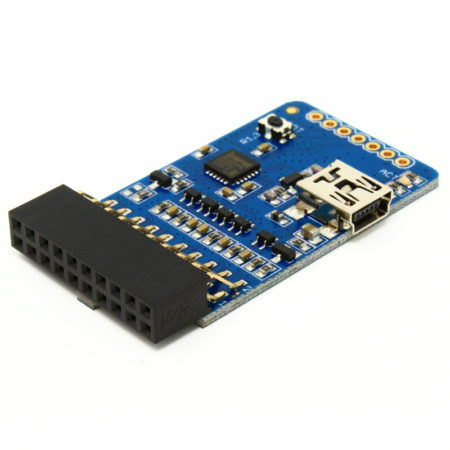 No drivers required: the CMSIS-DAP protocol travels on top of the USB HID protocol, so it can be used with any operating system. You can learn more about the AK-CMSIS-DAP in the user guide we have prepared.